Recently, a grower had been observing several straw colored moths flying around his field. He worried those could be armyworm moths that were laying eggs. Turned out those moths were not armyworm moths. 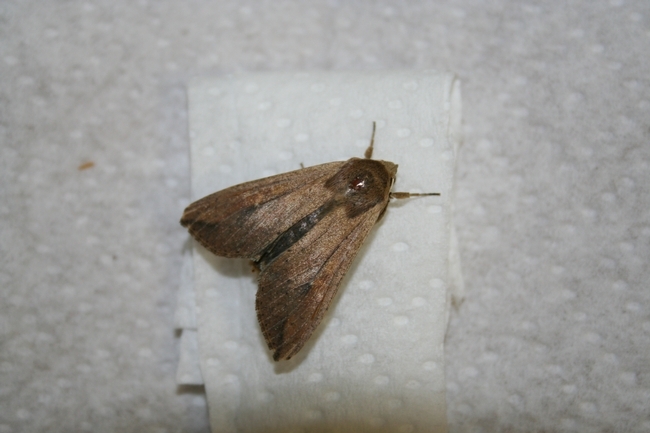 Below are a few pictures of what the armyworm moth looks like. 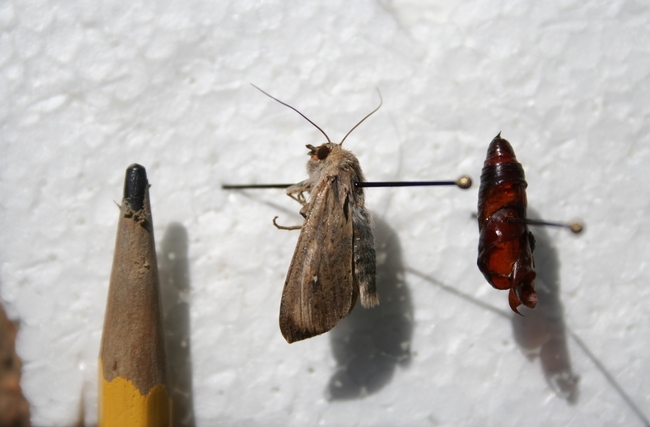 As you see in the pictures, the armyworm moth is big and stout. These moths are nocturnal, flying and laying eggs at night. I have seen them flying out of the rice foliage when disturbed by walking through the field. But otherwise, they are hard to find.